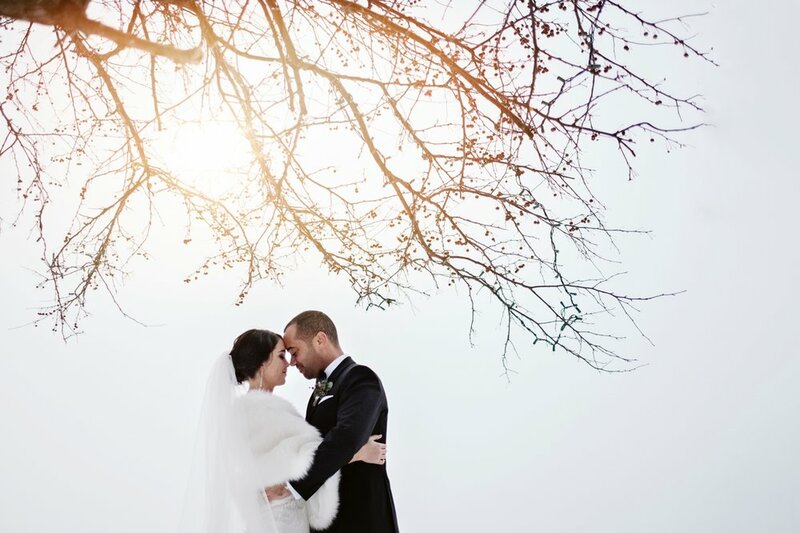 Jacqueline and Jeff were all smiles, even when they had to bare the -40 degree weather to make the portrait above. 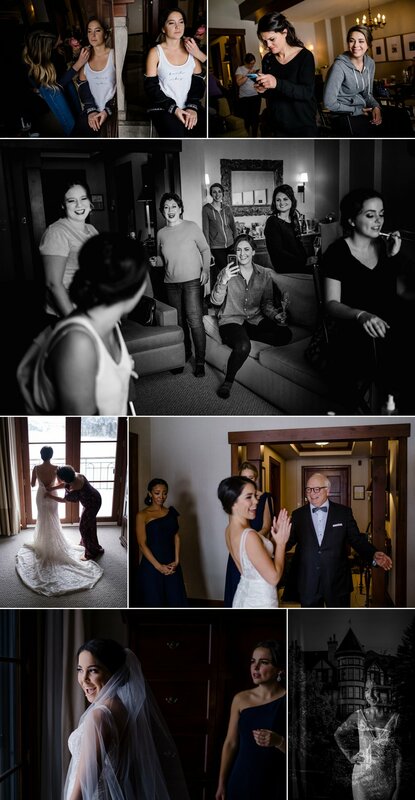 The wedding day started off at the Hôtel Quintessence where Jacqueline and Jeff got ready. Then they headed off to the Chapelle Saint-Bernard, the cutest little church that had beautiful light streaking throughout. After Jacqueline and Jeff said their I dos, all of the guests rode the gondola to the Mont Tremblant summit where they enjoyed a wonderful reception filled with so many great moments.